Voting for the NDP leadership begins today with a choice of four candidates with differences in style and also differences on the substance of their policies. In the midst of one debate in the NDP's 2012 leadership campaign, candidate Nathan Cullen noted that he was in "violent agreement" on policy with his rivals for the party's top job. Five years and one Tom Mulcair later, not much has changed. But while the four contestants vying for the NDP leadership this time are unanimous on many policies, there are a few points upon which they differ, as well as some unique proposals on the table. Over the weekend, the candidates — Ontario MP Charlie Angus, Manitoba MP Niki Ashton, Quebec MP Guy Caron and Ontario MPP Jagmeet Singh — gathered for the last time before voting officially opens today. In the candidates showcase, they had the opportunity to connect with members, boast of their endorsements and lay out their vision for what an NDP under their respective leadership would look like. About 124,000 members will be eligible to cast a ballot. The results of the first round of voting will be announced on Oct. 1. Members won't only be making their choice based on the candidates' different styles. Here is where the candidates stand on the issues. With some differences on the specifics, there are a few common threads in the candidates' economic policies. These include ending corporate bailouts, increasing the minimum wage in federally regulated industries to $15 per hour, making access to employment insurance easier and increasing taxes on the wealthy. Additionally, the four candidates want more effort made to go after tax cheats and to close loopholes, would increase taxes on certain kinds of investments, bump up the corporate tax rate (to 19 per cent for Caron, 19.5 per cent for Singh and 21 per cent for Ashton) and tax the assets and inheritance of the wealthiest Canadians. But some other individual policy proposals stand out. 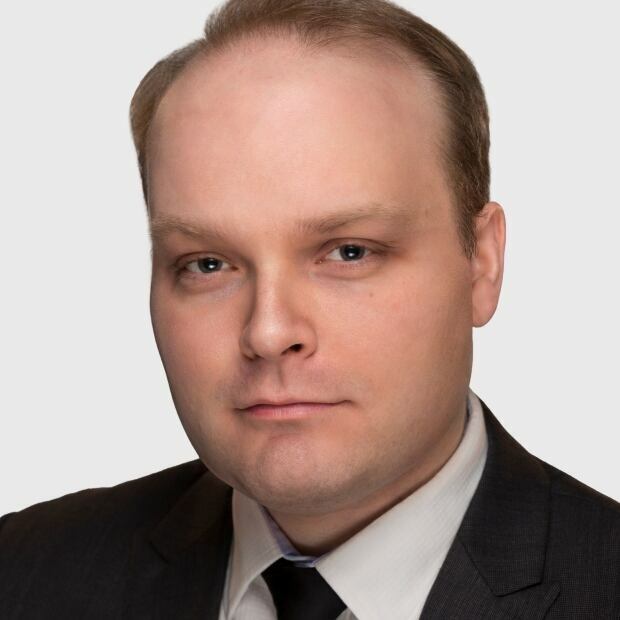 Caron's signature policy plank is his basic income proposal, which would supplement the income of Canadians living below the low-income cut-off. This would top-up their incomes to roughly $18,000 to $25,000, depending on where the recipient lives. Caron would also institute a seven-hour work day, without any drop in wages, to compensate for increasing automation in the workplace. Angus wants to give workers the right of first refusal to purchase a closing business and restructure it as a worker co-operative. His platform includes incentives toward the creation of more co-operatives in Canada. He would also put in place measures to recognize the "new working class," namely those in temporary, contract and freelance employment. For example, he would exempt them from paying the employer portion of CPP. Ashton would create a national post office bank to increase banking access, particularly in rural communities, and reduce banking costs. Climate change is listed as a priority for all four candidates. Consensus policies include setting more ambitious emissions targets, phasing out gas and diesel vehicles and replacing them with electric cars, eliminating subsidies to the fossil fuel industry, investing in the retrofitting of buildings to make them more energy efficient and opposition to pipelines like Trans Mountain, Energy East and Keystone XL — and the National Energy Board approval process that greenlights these projects. Caron's platform includes some big investments in a green economy, including $32 billion for green renewable energy to help with the transition from oil; $10 billion over 10 years for electric high-speed rail and $18 billion for public transit. Caron would set a carbon price of $50 per tonne by 2020, increasing that to between $110 and $150 per tonne by 2026-2030. Singh would create an independent officer of Parliament to be responsible for reporting on and measuring the government's progress in meeting emissions targets. He would also build a national east-to-west renewable electricity super-grid. Ashton would like to develop cloud computing storage facilities in Canada powered by clean energy, while both she and Angus want to see the establishment of a Crown corporation to fund green projects. Angus would also set a national carbon budget, with yearly targets to be met by targeted carbon taxes, rebates, cap-and-trade programs and grants. 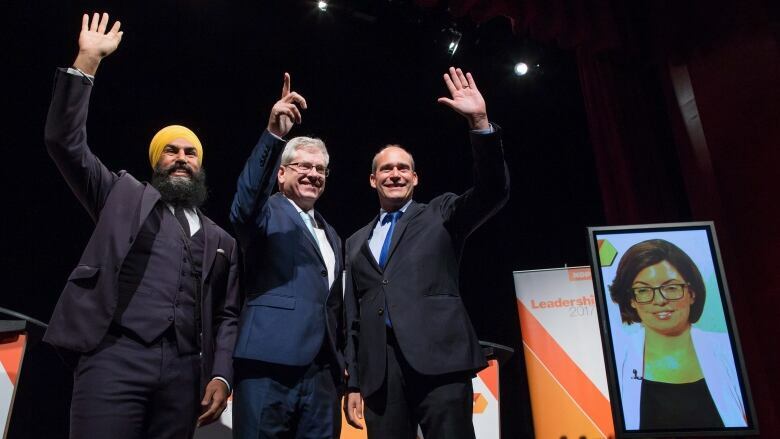 New Democrats want to see Canada's first-past-the-post system changed into a system of mixed-member proportional representation, with Ashton, Singh and Caron supporting the use of regional candidate lists. Caron, Angus and Singh would like to see a referendum on the change after two elections have been held under the system. Angus would also like to see Indigenous peoples specifically represented, for example through treaty region seats, and would make election day a national holiday. Caron, meanwhile, would make electoral reform a prerequisite for any alliance with another party in a minority government. Raising levels of funding for Indigenous education, infrastructure and health care is another consensus priority for the four candidates. They would also like to see a nation-to-nation relationship with Indigenous peoples and the full adoption and implementation of the UN Declaration on the Rights of Indigenous Peoples and the report of the Truth and Reconciliation Commission. Ashton also advocates reforms to the justice system to recognize the distinct needs of Indigenous peoples and address their overrepresentation in the prison population. Angus would audit and dismantle the department of Indigenous and Northern Affairs, devolving programs and funding decisions to Indigenous communities. He'd also create an officer of Parliament position to report on the government's progress on Indigenous child welfare. A national pharmaceutical drug distribution agency to bulk buy drugs and reduce costs. Tuition-free post-secondary education and a national child-care program. More support for disabled Canadians. $10 billion for 40,000 new housing units per year. Giving transgender Canadians the option of non-binary gender identification on federal ID. Extending access to citizenship for all migrant and temporary foreign workers in Canada. Ending the practice of "carding," where police stop people and ask for ID. Pharmacare with universal access to approved drugs. Doubling CPP and QPP benefits. A new category for climate change refugees. Creation of a new tax crimes division in the Justice department. Increase seniors' benefits by $4 billion with the institution of a single, income-tested benefit. Decriminalization of all drugs for personal possession. Ban racial profiling and end carding. Allow transgender people to choose non-binary gender options on federal ID. A basic income for Canadians with severe disabilities.